Nowadays we can find that the popularity of Structured Query Language(SQL) is getting decreased and the NoSQL database programs are taking place of it. Discussing with NoSQL databases, the popular one MongoDB a cross-platform document-oriented database program. MongoDB stores the data as JSON like documents other than tables in SQL. 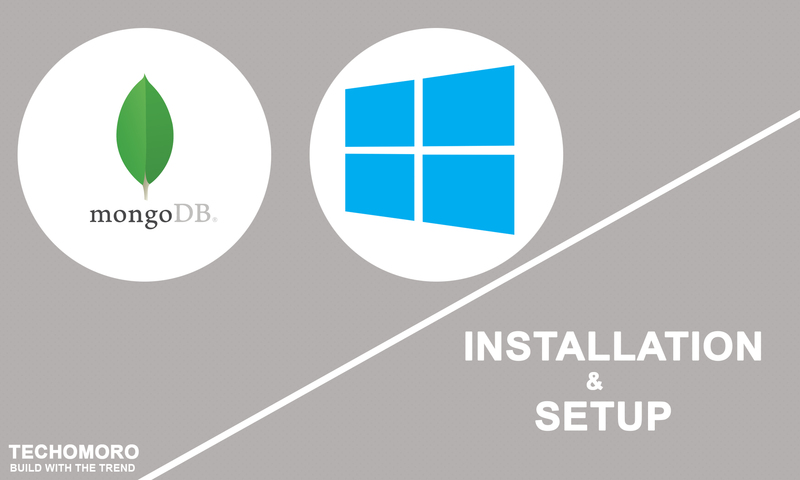 It is much easier to install MongoDB on Linux/Mac platforms using terminal commands. But Windows is mostly based Graphical User Interface(GUI) and we need to do most of the tasks using GUI. We can download the latest version of the MongoDB community edition from the link below. If need to choose the version/ edition/ package, MongoDB download center will help. The link below will download a zip file. Just extract the zip file. Extract this zip file and paste the folder anywhere on your system. ( But Pasting this folder inside C drive will the better choice). 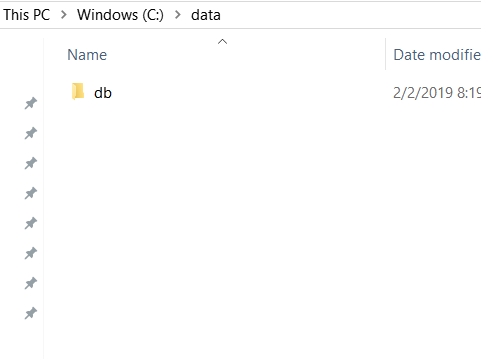 Create a folder named data inside the same path we pasted the MongoDB folder (C drive) and create a folder named db inside it. Because the MongoDB stores the database as documents inside this db folder. 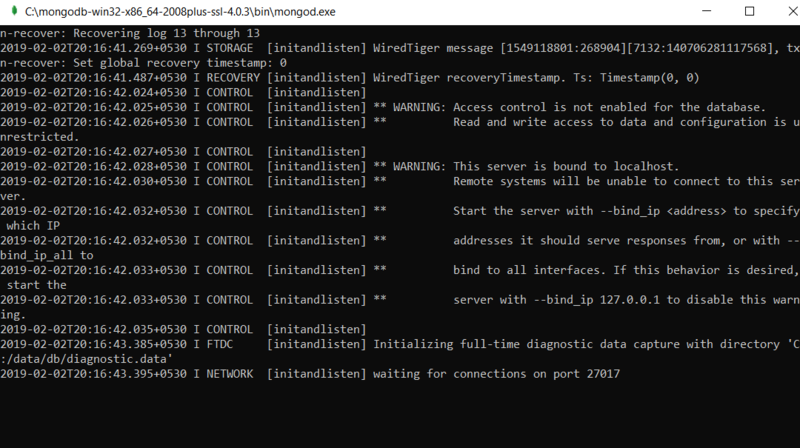 Running MongoDB in windows is easier. First, open the MongoDB folder and to /bin. We can see a mongod.exe file inside the directory. 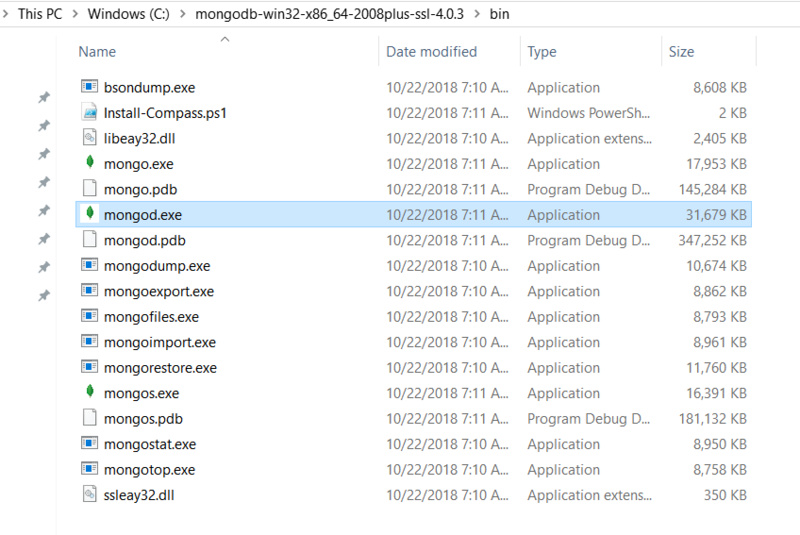 We can access the MongoDB shell by opening the mongo.exe file inside the MongoDB directory.